How to Cope with Retirement ? kaburulu / June 23, 2018 / Comments Off on How to Cope with Retirement ? Throughout your life, you will have experienced many life-changing events – marriage, perhaps divorce, children being born and grief to name but a few. All require a period of adjustment and retirement is no different. Post-retirement is a stage of your life that you may feel ill-equipped to deal with. While you may have had firm ideas and plans on how you were going to spend it, the reality can often not match your expectation. The act of retirement may be celebrated with a party or another type of celebration, but once the dust has settled other phases of emotions typically come into play. You will have spent your working life planning and saving for your retirement – looking forward to the freedom that not having to go to work will give you, but did you spend time thinking how you were going to spend your time? Retirees typically have a honeymoon period of rejoicing their liberation from the shackles of work, but freedom is a concept that is only felt when restrictions have been lifted. So, what is left once there are no more restrictions? Once the excitement has subsided, it is commonplace to feel a little disappointed in the day to day. Retirement is not a short-lived vacation; rather it is a new state of living that can take time to emotionally adjust to. 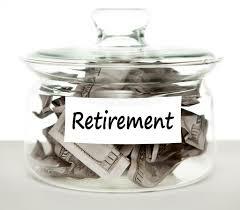 Your much yearned for retirement can leave you disillusioned with feelings of inadequacy and redundancy. It is during this time of disillusionment that you must make plans. You must use it as an opportunity to plan for your future. This includes reviewing your finances and getting your house in order so that you can start living the life that you dreamt of. Just as newlyweds recover from the post-honeymoon period of low, retirees soon accept their new lifestyles and learn to navigate through this new chapter of their life. It can take time and effort to reach this point, but it is when you begin to feel rejuvenated that you are able to rediscover your zest for life by building a new identity. These three emotions are to be expected, but it is how you manage them that will influence how you rate your retirement in terms of success. There is no formula to calculate how long you may feel under par about your retirement, but while you are in the throes of these emotional phases, you need to be proactive and take steps to minimize the impact. You need to have an accurate idea of the income that you are going to have at your disposal. Create a simple spreadsheet to record your monthly income and expenditure. Have separate columns for utilities, groceries, travel costs, leisure and a column for sundries. Chart your spending for 3 months so that you can get a clear picture of your average month’s spending habits. Compare your income with the money that you are spending. This exercise allows you to develop a budget for retirement so that you can live within your means. You will then have a clear understanding of what activities you can do with your time – whether you choose to go traveling, buy a new car or even if you need to consider a part-time job to supplement your income. The reality of your financial situation may even motivate you to start a new business, which is something that many retirees do; not just for financial reasons but because it is something that they have always wanted to do but never had the time to pursue it. You can use your career experience to work on a consulting basis or even transfer your skills to something completely new. It is also important that you review your will and any trusts that you have in place. It may be a long time since you made the arrangements and so you need to be sure that the choices you made are still relevant to your financial situation and wishes that may have altered over the years. Times and relationships change, and you need to be confident that the beneficiaries that you have included are still appropriate. You also need to check the trustees are still your primary choice to manage your estate. Do you know your trustee is still the best choice? Make some calls, check and confirm that the person that you have chosen is still relevant and suited for the role. Use this time of review to designate somebody to have power of your finances and to handle your affairs as a contingency plan in case you lose capacity. It’s also wise to implement an advanced health care directive that makes your wishes for medical care known and arrange for the appointment of a durable health care power of attorney who can make decisions if you can’t. This may be the last thing that you want to think about, but it’s an important task that you should do to protect you and your interests. It’s not morbid; rather, it’s being responsible. Life planning is a great strategy for overcoming any challenge, and that includes retirement. Now that you know your budget, you will be able to plan for the future and include activities that interest and excite you. You can take on a new hobby, perhaps. This is your opportunity to do the things that you have always wanted to: learn to play the piano, speak a new language or take up a sport. No matter what age someone is, a plan gives them direction and goals to work towards. Your plan should not just focus on big events such as vacations, but rather the everyday. Retirees often miss the structure of the working day, so it is beneficial to schedule regular activities for daily living such as art classes, volunteering, or catching up with friends. One way that people are able to identify themselves is by referencing the job that they do. I However retirement can mean that this professional label is no longer applicable. So, who are you now? Losing an identity tag can be perplexing, and so you need to try to develop your identity. Explore your beliefs and value systems and try to understand the nuances of who you are. You have the opportunity to try new things; perhaps a different part-time job? Trying new things will help you to determine what truly makes you happy and the things that you’d rather not repeat. It could be argued that without the constraints of your work-based identity tag, you are the real you-you just need time to rediscover and connect. Retirement is a conundrum: you have spent the majority of your adult life working hard and wishing for a break, and now that you have it, you are not too sure what to do with it. Give yourself time to adjust to this phase in your life and understand that the emotions that you are experiencing are perfectly normal and part of the process. If you aren’t sure where your retirement will take you, keep an open mind – as one door shuts, another opens. Be kind to yourself and appreciate that some days you’ll feel positive and on top of the world, and other days? You may feel that retiring was the worst decision you ever made. When you have reconnected and revealed your true self, you will be able to embrace your retirement and create a retirement that is just as unique as you.